Maritime music from the Great Lakes to the South Pacific, this album features traditional songs that go back through many generations, contemporary ballads by modern writers such as Fred Gosbee and Mike O'Connor, a C. Fox Smith poem put to music by William Pint, and Tom's own Great Lakes ballads Dancin' Jimmy Owen and Cold Winds -- a song that has been performed and recorded by singers in the US, England, and the Netherlands. One of "Rich's Picks" on the Midnight Special (WFMT Chicago). 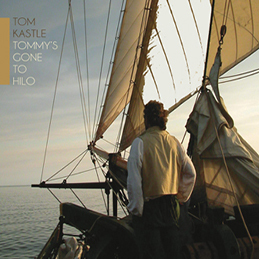 "Tom Kastle writes and sings sea-faring songs. Why shouldn't he, he's the real deal. Tom has a master captain's license, and has sailed the Great Lakes, and out into the great salties, for decades. All that would mean little, were it not for his musical talents, and rich sea-shanty-singing voice." 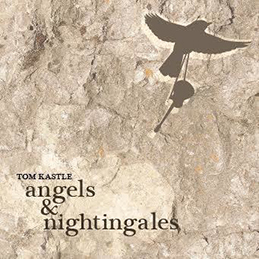 Tom Kastle's first solo recording offers glimpses of the romance and magic of every day, and not so every day, looking at life, or mid-life, Across the Centerline. 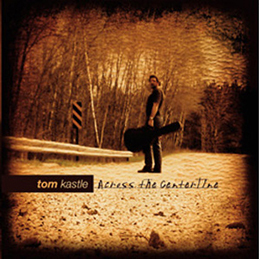 "With his solo recording and original songs, Tom Kastle shows further dimensions to his talent and range of material. His resonant voice, heartfelt lyrics, and solid instrumentation proves he is a more "grounded" talent, as capable as writing about the open road as he is about the open waters."